The Lego Movie Sequel is still two years away. Image: Warner Bros.
It’s hard to believe it’s been over three years since audiences were graced with The Lego Movie. The film was so smart, funny, and successful that of course a sequel almost immediately went into the works. We’re still about two years from its release, but star Chris Pratt told us the latest on the project. We spoke to Pratt about his latest film, Guardians of the Galaxy Vol. 2, and were too curious not to ask what he could tell us about The Lego Movie Sequel, which opens February 8, 2019. Of course, the actor was tight-lipped on what the movie would entail but did offer this hint. What could that mean? Almost anything, honestly. The most obvious thing would be a film set in both worlds or something more along the lines of Toy Story, where the Legos come through into the real world. Pratt will find out in two weeks. We’ve got two years. 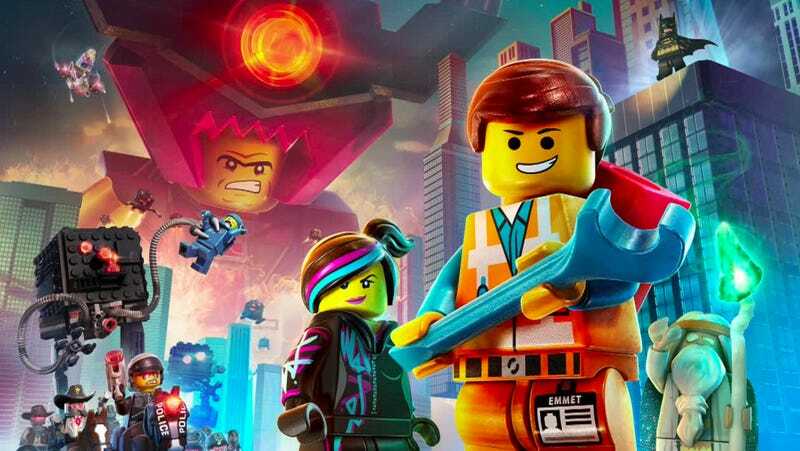 Directed by Mike Mitchell, The Lego Movie Sequel is expected to bring back not just Pratt’s Emmett character, but all the other major characters, including Lego Batman, who recently had some success of his own on the big screen. As for Pratt, he’s already done filming his parts for Avengers: Infinity War and is currently working on the sequel to Jurassic World. With those films, plus Lego, and then Guardians out next month—if anyone knows about sequels, it’s him.